The Saratoga Reading Rooms, Inc. (SaratogaReadingRooms.com)is a private club located in beautiful Saratoga Springs, New York. The club offers a variety of services to it's members including dining and rooms for rent. 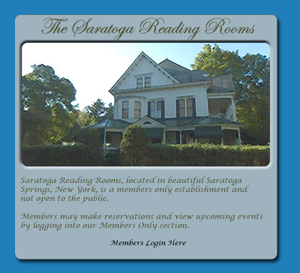 The Saratoga Reading Rooms' website enables it's members to request dinner reservations and room reservations. In addition, it allows the members to review the club's calendar of events, club rules and regulations. 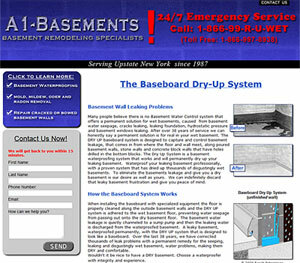 A1-Remodeling (A1-Basements.com) specializes in installation of basement drying systems. A1-Basements.com allows customers to review detailed information about the products and services they offer. Customers may contact A1-Remodeling through their site's interactive Contact Us form. Cambridge Faculty Association (CambridgeFA.org) is a site dedicated to providing information to the members of the Cambridge School Faculty Association. The site offers members the ability to register to gain access to the site. Once the members are registered to use the site check they can access the event calendar, review announcements and download important documents. 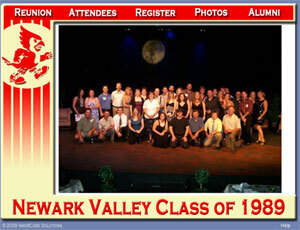 The Newark Valley Class of 1989 ( nv89.com ) site was create allow alumni to register for their 20th reunion. The site also allowed the registerd user to pay for the events online using their credit card. In addition, the registerd alumni gained access to their own private alumni directory.